Superficially, Istanbul is a tale of three cities; the original ancient Greek version, the great Imperial capital built by the Emperor Constantine and the modern capital city. Byzantion, Constantinople and Istanbul. That is to tell too simple a tale. Few places anywhere in the world have undergone the upheaval and changes of this extraordinary city. Really, the best way to approach Istanbul is from the sea. That way, you can imagine the awe it must have inspired in medieval travellers as the great walls and buildings hoved into view. How those travellers must have stared in sheer wonder at the vast magnificence of Hagia Sophia as their ship sailed up the Bosphorus. Historians will tell you, quite reasonably, that to understand the present, you must understand the past. Nowhere is this more pertinent than Istanbul. On this basis, a trip to the Archaeological Museum at an early stage of a visit is not a bad plan. There is a vast collection of Hittite, Mesopotamian, Babylonian, Egyptian, Byzantine, Ottoman and just about any other kind of artefacts you could imagine, or possibly not imagine. The prize piece is the huge Alexander Sarcophagus, with its ornate carvings depicting Alexander about to hurl a spear at Persian cavalry on one side and hunting lions on the other. The museum gives a glimpse of the city’s complex history and there are plenty of other places that attest to the varied nature of Istanbul’s past. The railway station combines the European and Oriental in its architecture and is worth seeing for that alone. The station started life as the terminus of the Orient Express and naturally, there is still a reminder of the legendary train in the name of the station’s restaurant. There is also a small museum at the station with diverse bits of Orient Express and other railway memorabilia. One of the many must-see attractions is the Topkapi Palace, home to Ottoman Sultans and their evidently large entourages and staff. The palace was developed and added to over several centuries, with the result being a large number of buildings of varying styles. Of all the diverse collections, one of the most extraordinary is housed in the Imperial Treasury. This is jewellery at an in-your-face level, with plenty of gold to go with it. This is the sort of place that one can imagine being checked out by a suave international jewel thief (probably played by David Niven), devising some cunning plan (no doubt involving ropes and wires) to empty the collection. 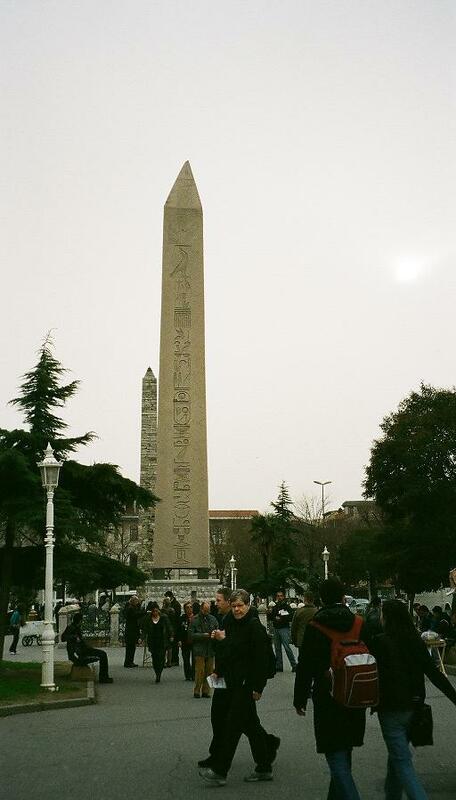 The Obelisk of Theodosius is something that it’s impossible to miss, in any sense. The title is something of a misnomer, as it was originally made for the Egyptian Pharaoh Tuthmosis III and was part of the great temple of Karnak before the Roman emperor Constantius II had it moved to Alexandria in 357 CE. A later emperor, Theodosius I, moved it to the hippodrome in Constantinople in 390 CE. Only a section of the original survives, but at over 20 metres, it is still a stand-out object, not least because it looks so out of place. It has, though, been out of place for the best part of two millennia. 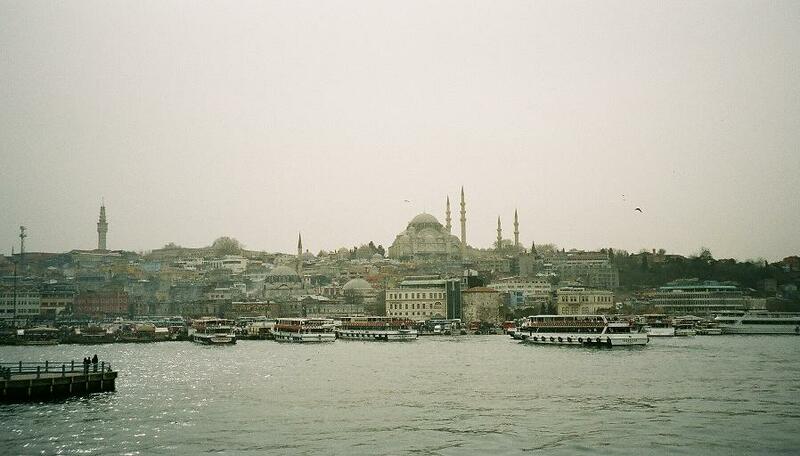 Across the Golden Horn lies the district of Galata, a Genoese colony in medieval times. 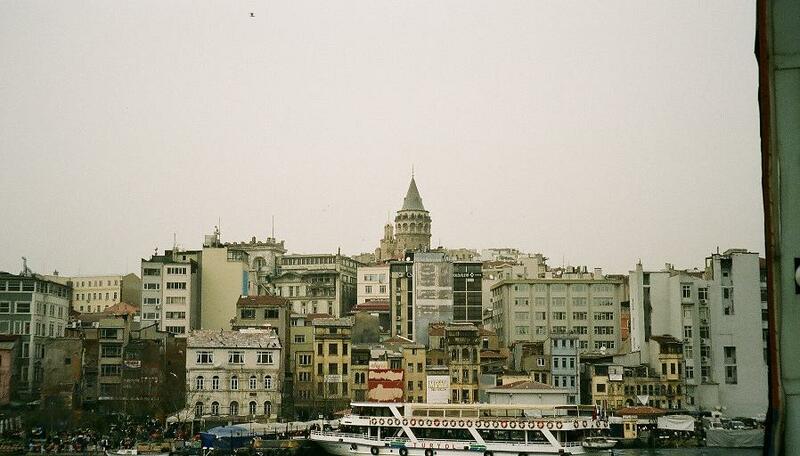 It was the Genoese who built Galata Tower, visible from much of the city. The tower is essentially a tourist attraction these days, offering a splendid view across Istanbul, the Golden Horn and the Bosphorus. There is a café at the top, naturally rather expensive, but a nice place to enjoy the view for a while. Galata is part of the Beyoğlu area, still on the European side, but separated from the Constantinople part by the Golden Horn. It’s a very cosmopolitan district with a much more western feel to it. The main street, İstiklal, is permanently packed with shoppers, visitors, theatre-goers and seemingly just about everybody in Istanbul at times. 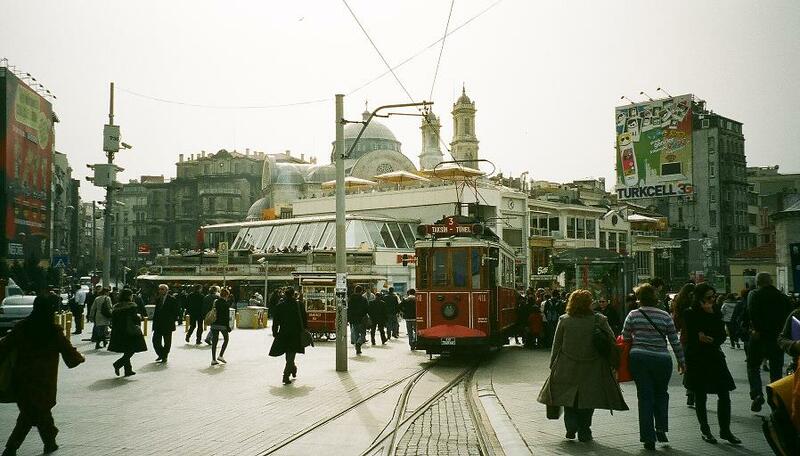 There are stylish buildings covering a multitude of styles and old-fashioned little red trams clank up and down. Beyoğlu is the home of Galatasaray, one of three hugely-supported football clubs in Istanbul. Another, Beşiktaş, is located just to the north. Across the Bosphorus, Fenerbahçe complete the triumvirate. Rivalries are, to put it mildly, intense, and those of a nervous disposition or easily scared by loud noise should avoid Turkish football in general and Istanbul derbies in particular. Virtually across the road from the Beşiktaş Stadium is the Dolmabahçe Palace, which succeeded the Topkapi Palace as the main administrative centre of Ottoman rule in the 1850s. It’s an interesting mix of Baroque, Neo-Classical and Rococo, all incorporated into an Ottoman style. 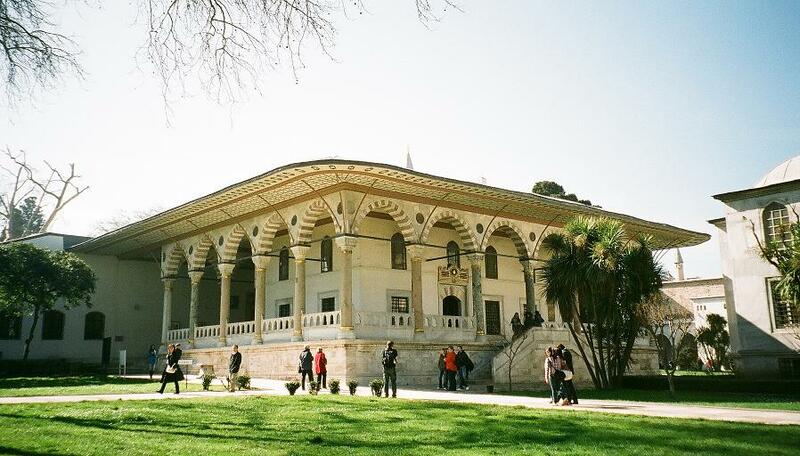 You can’t saunter around as you can at the Topkapi; you must take a guided tour. Be prepared for a dazzling overload of gold and crystal. 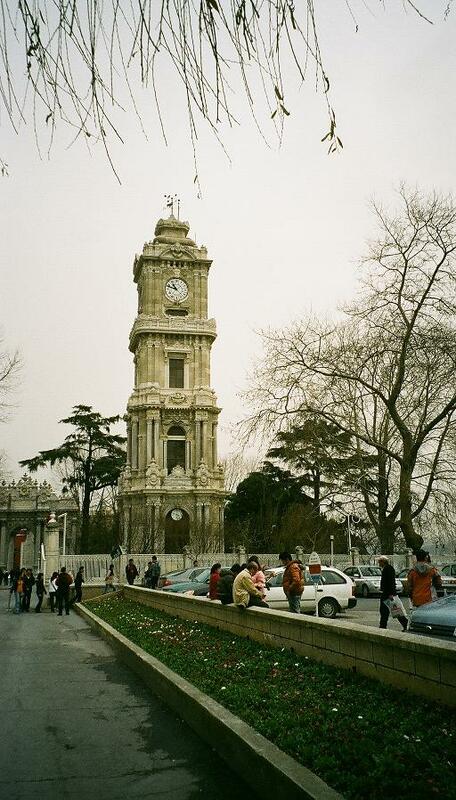 At the front of the palace is a particularly impressive clock tower in a style that Istanbul seems to specialise in, a kind of Baroque meets Ottoman. Istanbul always has the capacity to surprise and for a first-time visitor, the shock can come from the air. A loud screech and a tell-tale flash of bright green mean one thing: ring-necked parakeets. These noisy and colourful birds are a common sight in Istanbul. Originally common to tropical parts of Africa and Asia, the adaptable parrots have colonised a number of European cities including London, Barcelona and Brussels. Gülhane Park, where many of the parakeets hang out, is also the location for a vast treetop heronry. Eating and drinking can be expensive, though it doesn’t have to be. As usual, keeping away from the obvious tourist areas keeps the price down. There are some good little restaurants tucked away under the bridges that span the Golden Horn. Even in the more central areas, you can still get a decent deal. For ten quid, you can get a soup, main course and a couple of beers, which is pretty respectable. Even so the American couple who asked us for advice were probably being a bit optimistic. Where, they asked, could they get something to eat and drink for ten lira? Well, you could try Albania. It’s best not to expect too much from Turkish beer. Efes is ubiquitous and at least the draught version is a deal more palatable than the bottled or (shudder) canned. Efes Dark is an interesting concoction, though it is probably best approached as a drink to have at the end of an evening. A rather vigorous 6.1% ABV, it’s a dark brown beer with a slightly nutty taste and not too much sweetness, slightly reminiscent of a strong brown ale. Istanbul is the sort of place you could spend a long time in without seeing everything, but even if you’re only there for two or three nights, you can cram a lot in. Quite a lot of the ‘must see’ places are within a quick walk of each other; for example, Hagia Sophia, the Blue Mosque, the Theodosius Column and Topkapi Palace are all pretty much adjacent. There’s a good array of public transport, too, from little trams to big ferry boats, to get you around. There are myriad reasons to go to Istanbul. You don’t have to be an aficionado of Byzantine history, though a little understanding is never a bad thing. This entry was tagged Byzantium, Constantinople, Istanbul, Turkey. Bookmark the permalink.